As 2016 comes to an end, here at Lemon Press we are looking ahead to 2017 and the print trends we are likely to see grow. Whilst many of the print trends of 2016 will remain popular, we think there will be a few new trends and evolving trends to watch out for. Here are a few of the print trends we think you should look out for in 2017. With a strong focus on the environment many businesses will continue to choose a natural colour palette. This will help convey their messages about caring for the environment and being green. Developing on from this natural colours evoke feelings of promises, hope and transformation. From colours that are bright and vivid to those that convey an earthiness, we will see more colours that surround us in nature. From grassy greens to earthy browns, floral pinks, oranges and yellows. Lean direct marketing is a term that we expect to hear a lot more of in 2017. It means ensuring direct marketing campaigns minimise waste, maximise results and are cost-effective. This can be achieved by considering postage costs when designing direct mail. Paper weight and size can affect the cost of postage. Ensure that your direct mail is lean by ensuring that your data is of the highest quality and is up to date. Regular data cleansing to remove dead records is recommended. It reduces wasted direct mail and keeps costs low. With many brands adopting package personalisation in recent years, we predict that this trend will continue to grow. Many more brands will jump on the personalisation trend. It is believed that personalisation is key to engaging Millennials. It keeps them engaged with brands and so increases the likelihood of brand loyalty. One of the most successful personalised marketing campaigns in recent years is the ‘share a coke’ campaign. Coca-Cola replaced its usual branding with 150 of the UK’s most popular names. It included the hashtag #shareacoke to encourage consumers to talk about the brand online. 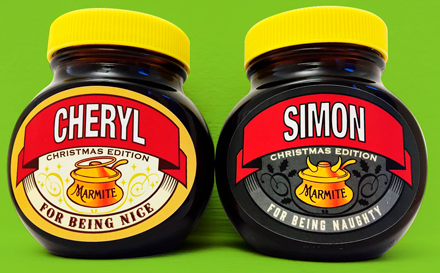 Other big brands such as Nutella and Marmite have also adopted personalised packaging. Design trends continue to move towards retro designs and colour palettes. This will be reflected in printed marketing materials. Some brands, such as the Co-op have reverted back to designs from the 1960’s. As consumers, we are a nostalgic bunch. When we see something that invokes memories we instantly feel more connected to a brand. On that basis expect more retro designs in 2017.